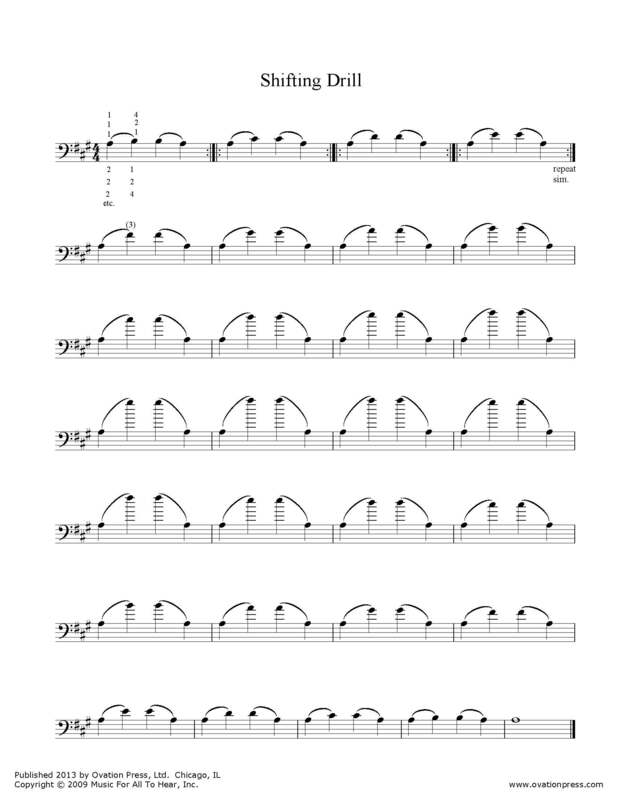 This set of Technical Exercises has been compiled over the last 35 years from many different sources including double bass players and other string pedagogues. The exercises, in and of themselves, are only as valuable as the player makes them. In order for strong progress to be made, the player should apply all of the important mechanics of playing and the vital practice methods discussed in the book: Double Bass: The Ultimate Challenge. Because of the technical demands that the double bass presents, the player needs a systematic approach to practicing and progress. These Technical Exercises cover the basics of advanced to virtuosic playing. Playing just what is written here is a good start, but each exercise should be practiced in many different keys, on different strings, with a variety of bowings, rhythms, and fingerings, starting both down bow and up bow, playing in different parts of the bow and at different speeds and volumes.